Wonderful ideas to satisfy your taste for something sweet. 3-2-1 Cake - by Beverly. Almond Ricotta Creme - by Betty. Amish Graham Cracker Pudding - by Cathy Lea. Apple Crisp - by Cathy Lea. Avocado Pie - by Cathy Lea. 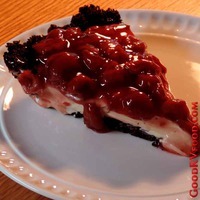 Bittersweet Chocolate Fudge Sauce - by Betty K.
Black Forest Icebox Pie - by Cathy Lea. Butterscotch Sauce - by Cathy Lea. Campy's Peanut Butter Banana Treats - by Ed and MaryAnn Campanella. Cheesecake Filled Cupcakes - by Chelle. Cherry Mash Fudge - by Cathy Lea. Cherry Parfaits - by Cathy Lea. Chocolate Banana Graham Cracker Refrigerator Cake - by Betty. Chocolate Cherry Squares - by Cathy Lea. Creamy Coconut Pie - by Cathy Lea. Creme Anglaise - by Cathy Lea. Dream Date Refrigerator Pudding - by Iva M.
Easy No-bake Key Lime Pie - by Maribel Penichet. Flurry Fruity Pie - by Cathy Lea. Frozen Mud Pie - by Cathy Lea. Fruity Weight Watcher No-bake Pie - by Sue Honeycutt. Grilled Peaches - by Cathy Lea. Lemon Cheesecake Pie - by Cathy Lea. Maple Syrup Vanilla Ice Cream Treat - by M. Kelly. No-bake Keylime Pie - by Cathy Lea. 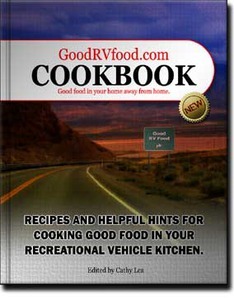 No Cook Peanut Butter Fudge - by Helen B.
Non-Bake RV Cookies - by Delores M.
Peanut Butter Cookies - by Jeannine Maranchuk. Peanut Butter S'Mores - by Cathy Lea. Quick and Easy Chocolate Mousse - by Cathy Lea. Stovetop Fruit Cobbler - by Cathy Lea. Strawberry Margarita Squares - by Cathy Lea. Sunrise Yogurt Parfait - by Betty. Tropical Cream Pie - by Marjorie Brand San Marcos California. Unbaked Peanut-Oatie Cookies - by Dena M.
White Chocolate Bark - by Bev Wasson.